Blue Raster is excited to announce the release of the World Resources Institute’s (WRI) Open Data Portal. Built with the open source platform CKAN, the Portal provides a centralized, searchable catalog of all data provided by WRI. Historically, WRI projects published data online to the WRI website. But their site contained data from only a fraction of their projects and none of their international offices. The new data portal provides for the first time a full catalog of WRI datasets, including those not previously publicly available or searchable. Internally, the Portal is also providing a more streamlined process for uploading and hosting data, so that it is simpler for WRI staff to get data online and properly documented. As part of the project, Blue Raster built a custom workflow to pull existing WRI datasets from ArcGIS Online into the Portal, including items from Global Forest Watch’s (GFW) Open Data site. Through a harvesting process, the Portal fetches and imports records along with each item’s metadata and tags. This enables WRI projects using ArcGIS Online to continue their existing workflows for publishing and managing data. Any changes made to data items in ArcGIS Online are automatically reflected in the Portal, allowing for easy data and documentation management. 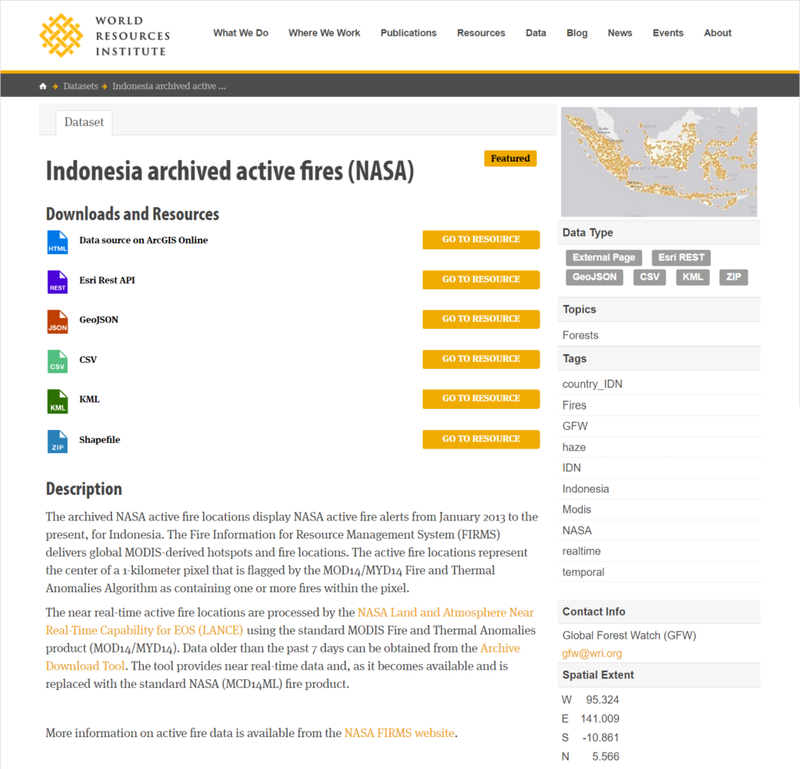 Because enabling users to more easily find and download WRI.org content was also a key goal of the project, Blue Raster designed the Portal with a powerful search and discovery engine. The data portal supports dataset keyword searches, accompanied by tagging to allow further categorization, and the ability to discover related datasets and content. Check out WRI’s Open Data Portal, and see how it is helping turn WRI’s data from information into action.